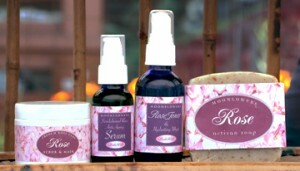 Nothing beats pure rose water is a natural light astringent. Di and Mel have perfected this Rose toner as one of our best sellers. A clarifying complexion mist that balances overactive oil production, reduces inflammation and heals blemishes, leaving skin fresh and glowing. Made from Orange Blossom water, a light, natural astringent. Made with : Orange blossom water, aloe vera, witch hazel, gota kola glycerine & Neroli and Sweet Orange essential oils. Clean and moisturize you skin before toning. 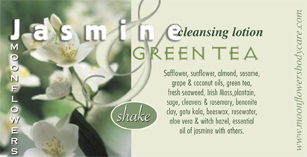 This gentle cleanser is full of healthy natural cleansers to ready your skin for toning or creams, or just a good wash.
Made with: Safflower, sunflower, almond, sesame, grape & coconut oils, green tea, fresh seaweed, Irish Moss,plantain, sage, cleavers & rosemary, bentonite clay, gotu kola, beeswax, rosewater, aloe vera & witch hazel, essential oil of jasmine & other eo’s. Seaweed is loaded with micro-nutrients and rare minerals. We harvest seaweed from the Marin Coast in the early summer for this product. 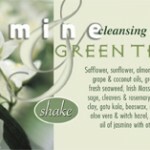 Use to cleanse & soften the skin. Apply & rise with warm water. Made with Marin Coast seaweed, aloe vera, gotu kola in glycerine Rosewater & pure essential oils. Made with:Chamomile, roses, yarrow, calendula, lemonbalm, rosemary, lavender, lemon verbena, orange peel, comfrey, sage, nettle & clary sage infused in apple cider vinegar with rose hydrosol.